A new Fine Press edition of Jane Austen's 'Pride and Prejudice' is in preparation, with Jarrett Morrison printing and illustrating and Alanna Simenson binding the edition. It promises to be a great project. 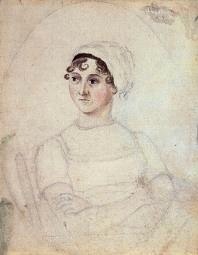 Jane Austen by her sister Cassandra. So fans of Jane Austen, go see it and help get this project off the ground!